Welcome to 1520 Dess Dr, elegant newly constructed house in a nice quiet neighborhood, this house features 3 bed rooms / 2 full bathrooms and an open space/split bedroom plan, once you enter the house you'll be amazed by the high cathedral ceilings which gives this house a welcoming and a warm space, the master bedroom has two walk-in closets and a huge master bathroom featuring a corner tub and a shower . beautifully built kitchen with a prep island for all your cooking needs , enjoy watching the sunset from your back patio which overlooks an over sized backyard that's suitable for all your future projects like a pool or children play ground or just a fire pit. 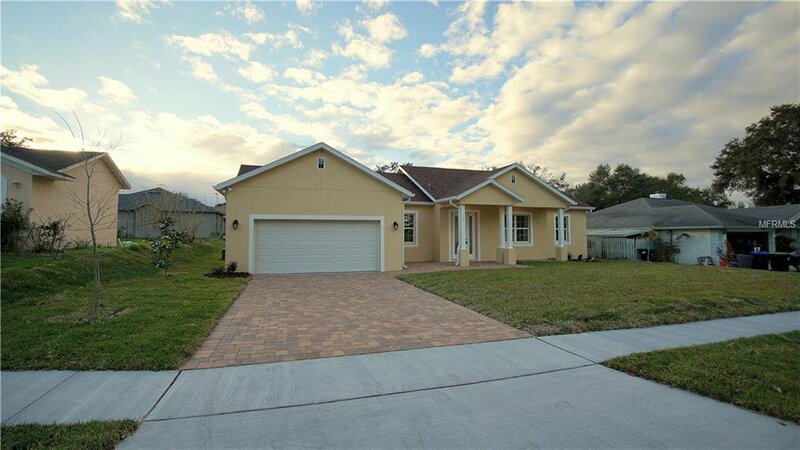 the house is conveniently located few mins from major roads like 50,408, and Florida turnpike . Listing courtesy of AMERITEAM REALTY INC.. Selling Office: PREFERRED RE BROKERS III.